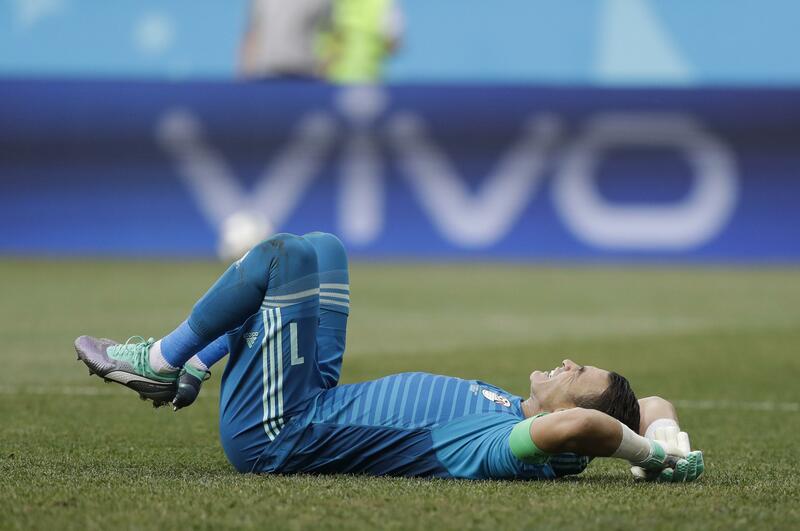 Mon., June 25, 2018, 12:27 p.m.
VOLGOGRAD, Russia – The oldest person to play in a World Cup match made some spectacular saves Monday. He also watched two go past him. In the other group match, Uruguay beat Russia 3-0 to finish first. The two-time champions will play the runner-up of Group B in Sochi in the round of 16. Host Russia will face the Group B winner at the Luzhniki Stadium in Moscow. Published: June 25, 2018, 12:27 p.m.